Attended the recent Miss World Prestige International Pageant 2017 Grand final gala dinner held at Sunway Resort Hotel Grand Ballroom on the 12th October 2017. It was a grand ceremony aimed to be on par with world-class’s Paris Fashion or beauty industry ceremony. Silver Sponsor: De Vouge Wedding Gallery & Academy, Gelly Wee makeup Studio, Miko Galere; Charater International Modeling, Mekar Subur Sdn. Bhd. 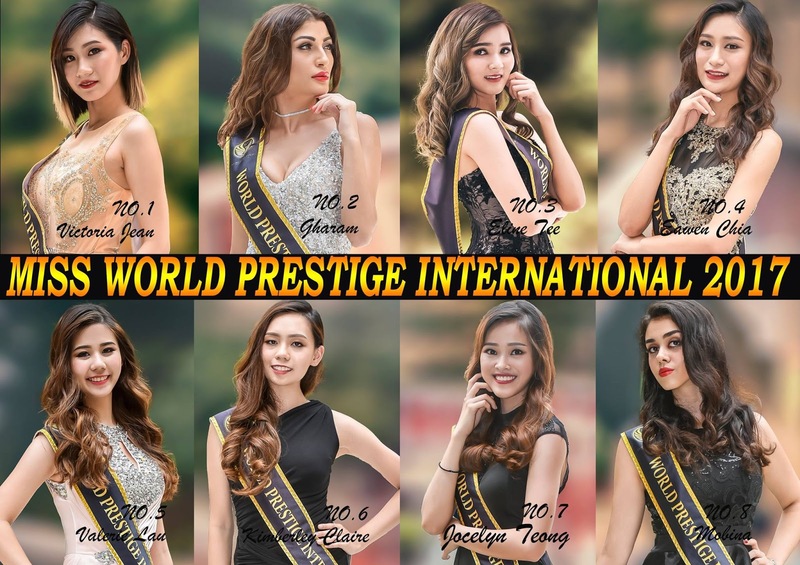 Here are the Top 8 Finalist of Miss World Prestige International 2017. The event began with an exciting and unique show for us to enjoy. The show features burlesque along with beautiful dancers performing in a range of classic to contemporary burlesque. This was really entertaining before the grand finale started. Each contestant had qualities of beauty such as outward appearance, inner beauty, and social contributions. The results were revealed with the Grand Winner - Kimberley Claire, 1st Runner Up - Gharam and 2nd Runner Up - Valerie Lau. Congratulations to these beautiful and talented ladies!